Among the many options to immigrate to the United States, working is one of the more common ones for professionals and skilled workers. 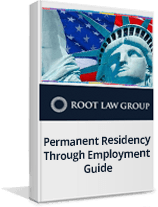 Once you have spent time in the United States as a student or as a temporary worker, you may be interested in getting a Green Card and living permanently in the United States. This guide will address some employment based options for doing so.